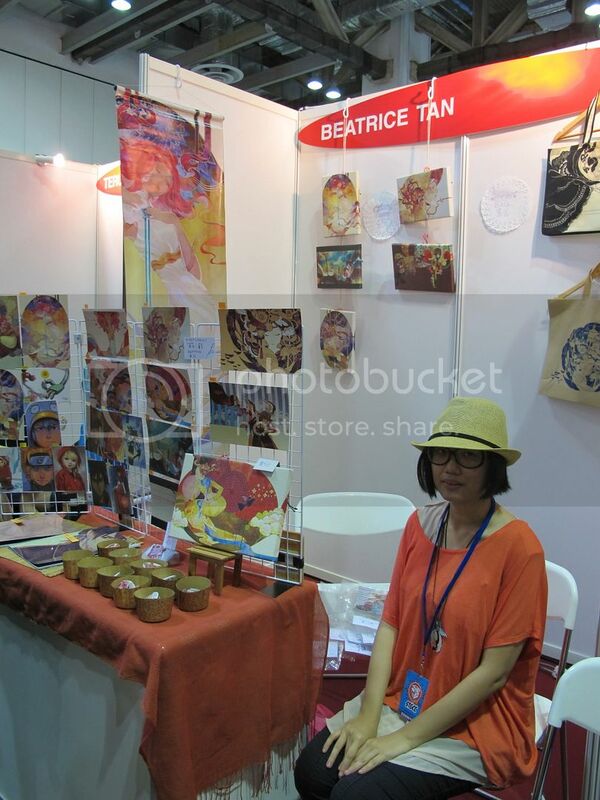 NTU Visual Arts Society News Blog: STGCC artist interviews!! Once again this is your friendly neighborhood Pn...... Oh wait, CoEn chair speaking :> That's right lads, I won. Anyways, ahem. As a fellow cosplayer and artist, I prefer to think of myself as part of the crowd, just with certain additional privileges. But with a less work-based mindset the event usually turns into a more pleasant venture and gives a more generic "participant" flavor to the STGCC experience. As such there are certain things I look out for, including of course, good art. STGCC has always been an event placing emphasis on quality and the publicity of quality art from both the western and eastern fronts; this year's selection of talents was no exception. Model builders, CG work stations, Video games and traditional games, embroidery and miniature clay models; the broad scope of visual arts covered was enough to content and accommodate for the tastes of any regular con-goer. I selected several that really stood out to me personally; a quick swatch of the artists that were present. There just seemed to be a few that really nabbed my attention amongst the organized chaos once I walked by their booths. Some with simply amazing displays, some with an overwhelming sense of presence; others were a combination of both! Whatever the reason, it just made me feel deeply moved by the passion in each illustration and thinking of the years of practice it must have taken to hone such skill before greeting the spotlight. Click on the jump below for the interviews! The soft flow and harmonious blending of color and lines that is so apparent in her artwork may have much to do with the music she listens to, as Kidchan reveals. 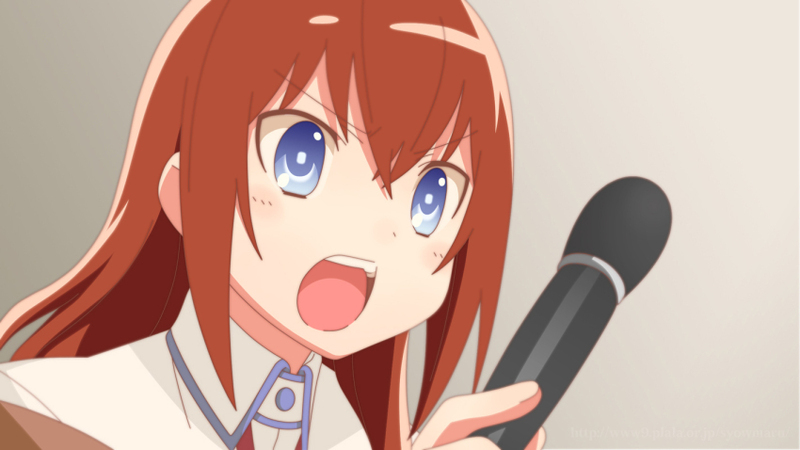 Most of her inspiration comes to her in the form of music. "I listen to anything, pretty much" she says, "I like to get listen to a song, get the feeling and mood from it, then put it on paper." This freedom from discrimination leads to her amazing flexibility in content and subject, from fanart with solid lines and blocks of color and daring combinations of color, or the gently flowing originals that make up her signature style. Other than music, Kidchan also draws inspiration from several other artists, such as Aubrey Beardsley- seemingly from whom she gains inspiration for much of the smooth composition that goes into her delicate lineart; Aya Kato, with a similar sense of composition however with an Asian twist with inundation of crimson; and Yoshitaka Amano- a stunning display of stylized realism and highly imaginative content. Kidchan says she is also quite fond of the relaxing art of daydreaming and tells me that it too is an important source of her ideas that are put into paper. A dreamer that brought us a distinctly gentle, slowing reflection of delusions, almost like snapshots of imagination itself. Kidchan, in her own words: part time artist, full time delusional. I'll admit the next artist's booth first caught my eye with one of the two artists' Naruto Akatsuki fanart. Bold, harsh, yet distinct and flowing. It was one of those displays you just simply needed to have a second look at; bodacity on paper if it ever existed. The large publicity prints at the back of the booth gave a more concise peek at the artist's own style- immense attention to detail and texture. The artist in question is, as many people may have guessed from the mention of Akatsuki, is Ean Keat Ong of Keatopia, who was busy taking commissions at the event; as such I decided to talk to his wife and fellow artist, Eunice Xu. The two, both artists since their teens, now have established and published works in the form of a children's book, Coocomo, which was supported by the National Arts Council of Singapore. A fascinating read with something to learn for both children and adults, it conveys a deep but light-hearted message of acceptance and diversity with simple yet vivid images, characters and wording. What first struck me about the art of Coocomo was the fact that such simple images could require so much finesse to make them really come off the pages; a feat that the artists managed to achieve together. However, as Eunice expresses, the main reason why they decided to venture into the sometimes risky field of arts, is because of what they believe in, and their wish to convey their message to a wider audience. She says "Our focus is in original creations. We love drawing and art, but the fanart is just a tribute to things we love and things that imspire us. We think that original creations are important too." She expressed that the difficulty in publishing and succeeding in the industry is getting people to believe in your ideas. As such, they strive constantly to gain perfection, so when oppurtunity strikes, they'll be ready for it. It isn't easy, so why do they choose this path? Eunice tells us that they wish to express, and "get some ideas out there." To expose themselves and their ideas to the world. 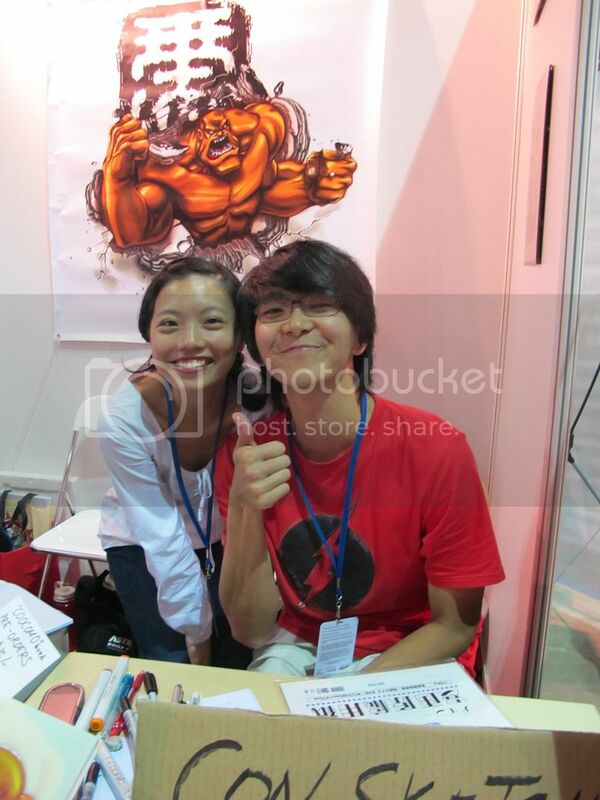 STGCC, to them, was a wonderful testing ground to see how the public reacts to their work and their ideas. Respectable beliefs, remarkable success, friendly impressionable people and an adorable couple. Ladies and gentlemen, let's hear it for Eunice and Ean Keat Ong of Keatopia. The last but definitely not least booth I would like to touch on is Gamersaurus, a booth with a difference. Rather than the compulsory CG print or twelve that most booths had out, here we had company T-shirts with an adorable logo, as well as... Card games? Well well, we knew we had to check this one out. The booth manager Wei Song came off as an outspoken, friendly person from first glance. 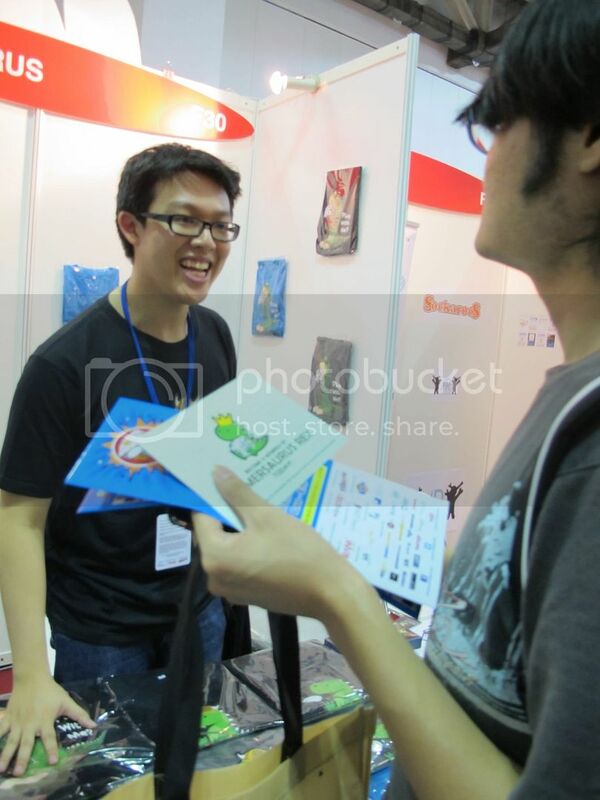 He was comfortable mingling with the crowd and giving demonstrations of the company's card game, The Package- a round of which we participated in, and as a result of the experience, bought the game. It was fast, easy to master, and encouraged interaction between players. All that, coupled with a set of crisp, wonderfully designed card images made a successful card game that we as con-goers had the pleasure of enjoying. A bit more conversing with Wei Song revealed that he's been a gamer for life, and studied in SP to become a games designer. During his final year, opportunity rose to him in the form of a friend looking for help in setting up a games company. However, as he points out, not everything is beautiful and rosy. It's a lot of work, he says, with barely any free time, as he always needs to be ready 24/7 for any opportunity that may come by. Even as he's working, he needs to keep in mind his future plans and come up with new ideas before putting down his next step. "The first three months are the toughest", he tells us. "Establishing presence in the market, understanding what kind of audience we face, it's a lot of work. You always need to be on your toes." It takes passion and grit to step boldly into an industry like this, but Gamersaurus and sub company Gamersaurus Rex has definitely strut their stuff proudly. Members of the jury, I present the company that brought you a new form of entertainment at our upcoming annual chalet, Gamersaurus. And thus concludes our Artist interviews that trust me, were much more fun and interesting to both conduct and write for than the general happenings :P Once again, I'd like to thank all the above mentioned for their wonderful cooperation and may I say, it was absolute bliss speaking with such passionate and enthusiastic people.